The world’s media extensively covered the Ebola crisis at its peak, but over time, the epidemic’s impact on communities in West Africa has fallen off the news agenda. And while millions of donor dollars eventually poured in to help contain and defeat the virus, its after effects - social, cultural and economic – will continue to be felt for years to come. After Ebola picks up the story where the world left off. A partnership between New Internationalist magazine and media advocates On Our Radar, this multi-platform project reconnects with On Our Radar’s trained network of citizen reporters in Sierra Leone to build a comprehensive picture of the disease’s aftermath. Phase one offered the ‘story behind the story’. On the After Ebola hub, you can see the germination of the recovery stories that reporters investigated across the country, starting from SMS messages. These ideas were the building blocks for a web documentary / digital feature Back in Touch, which was published on 27 May. Narrated by citizen journalists, it draws on the experiences of ordinary Sierra Leoneans, offering an intimate window into how communities cope with, and process, an epidemic. Then the June edition of New Internationalist magazine took a critical look at the humanitarian response and health systems deficit. Ebola is not a new disease – it’s been around since 1976 – so why did over 11,000 West Africans die 2014-16? Did we learn the right lessons from the outbreak, and is Sierra Leone ready, should the virus return? Tune into the story on Twitter with #AfterEbola. 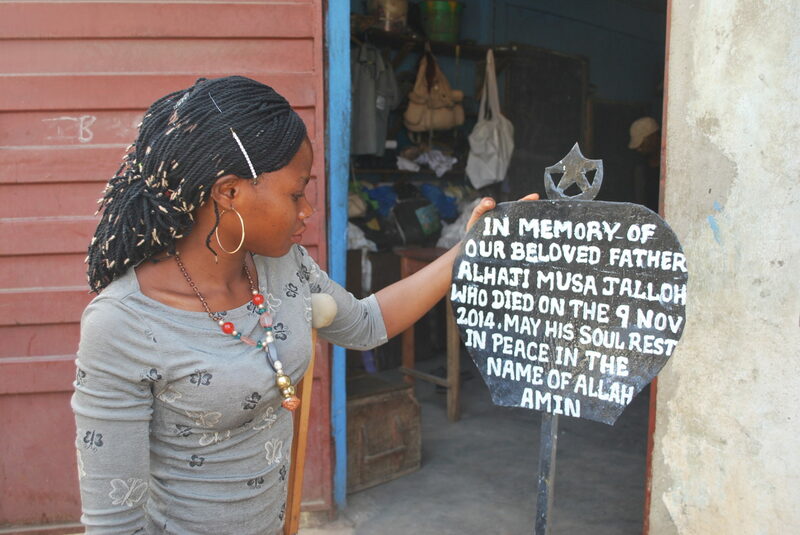 Photo caption: Seeking closure - Mariama Jalloh, citizen reporter, went on a quest to find the grave of her father, who died in the peak of the Ebola outbreak. New Internationalist: Did we learn the right lessons from Ebola? De Correspondent:Twee jaar geleden brak de ebolacrisis uit. Hoe ging het verder na de ramp?